Muireann Irish is a cognitive neuroscientist based at the Brain and Mind Centre at the University of Sydney. She completed her PhD in Psychology in Ireland, before relocating to Sydney to pursue her interests in memory and dementia. She has a long-standing interest in memory and how disruption to the brain affects the ability to remember the past in dementia. Muireann's novel research program has revealed new insights into how loss of memory in dementia affects the capacity for imagination and thinking about the future. 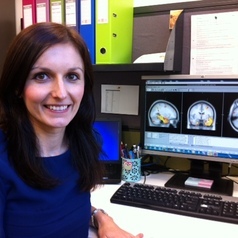 Using a combination of behavioural and neuroimaging techniques, she is particularly interested in the brain regions which underpin these complex endeavours. The quality of Muireann's research has been recognised in a slew of prestigious awards at the national and international level.